Retiring offers a variety of new opportunities to the single male, including starting over in a new place. While retirement can be an exciting and fun-focused time, you should also consider finances, living arrangements and access to healthcare when looking for a new place to live. Whether you're hoping for the chance to go on a first date in a sunny locale or begin a relationship in a new country, there are options to suit your needs. Look for a retirement location full of adventure. San Francisco is a diverse city with a welcoming atmosphere for those from all backgrounds. Adults over the age of 65 make up nearly 14 percent of the city’s population, according to the United States Census Bureau in 2010. Traveling around to meet other retired singles is made simpler by the ferries, trolley cars, BART system and other transportation options across the city. Although the price tag of living in San Francisco can be intimidating to single men on a fixed income, the state of California does not tax social security income. Listed as one of U.S. News and World Report’s "10 Best Places to Retire Overseas in 2014," Panama City is typically valued for its gorgeous white sand beaches and tropical climate. Retirees can also enhance their social lives by taking advantage of Panama’s Pensionado Program, which offers such benefits as 50 percent off entertainment throughout the country, 25 percent off airline tickets and 15 percent off hospital bills, according to International Living magazine. Home to the largest public hospital in the country, Panama City also offers private, social security and specialized hospitals throughout the area. Pittsfield is ranked as a metro area in which 52 percent of the 55-and-older population is single, according to U.S. News and World Report’s 2010 article titled "10 Best Places for Single Seniors to Retire." This city, which is located in western Massachusetts, has a variety of cultural and recreational attractions, including country clubs, hiking trails and museums. The Pittsfield area is also home to nearly 30 retirement communities. Algarve was ranked as 2014’s best place to retire, as well as one of the best places to retire overseas, by U.S. News and World Report. Algarve also offers a variety of housing options for retirees, such as Algarve Senior Living, which is a rental-based living community. Single men who are concerned about any language barrier during their dating endeavors will be pleased to know that English is among the most popular languages in the region. Romantic cliff-top views of the beach and sunny weather are just a few of the ways this area sets the scene for dating and romance. Jackson is known as a soulful city due to its musical roots in gospel, blues and jazz. As recently as 2010, Jackson boasted a nearly 50 percent population of singles over the age of 55, with nearly 40,000 single women from this population, according to the Consumer Affairs article "Best Places for Single Seniors." In addition to offering a large population of eligible singles at retirement age, Jackson made the list as one of the best places to retire for under $40,000, as reported by U.S. News and World Report. Nalls, Nicole. 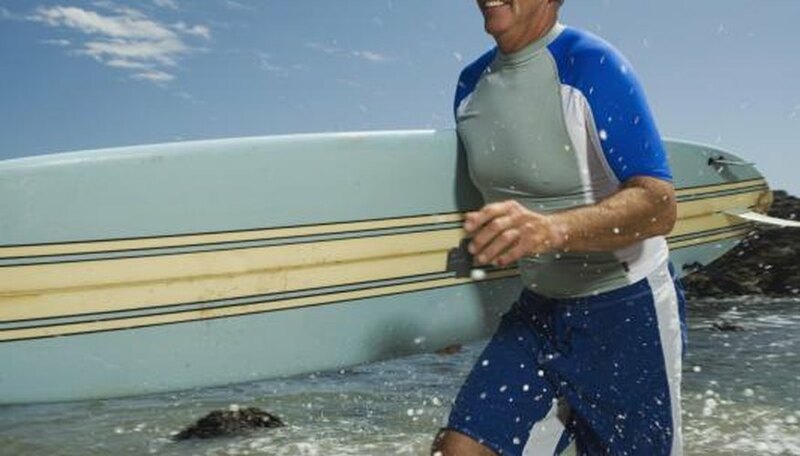 "The Best Places for Retirement for a Single Male." Dating Tips - Match.com, https://datingtips.match.com/places-retirement-single-male-5939372.html. Accessed 20 April 2019.